We have two nanosized slurries. they are Nano ZnO and nano silver. We also have a nano antiseptic which comprised of nano silver and nano ZnO. 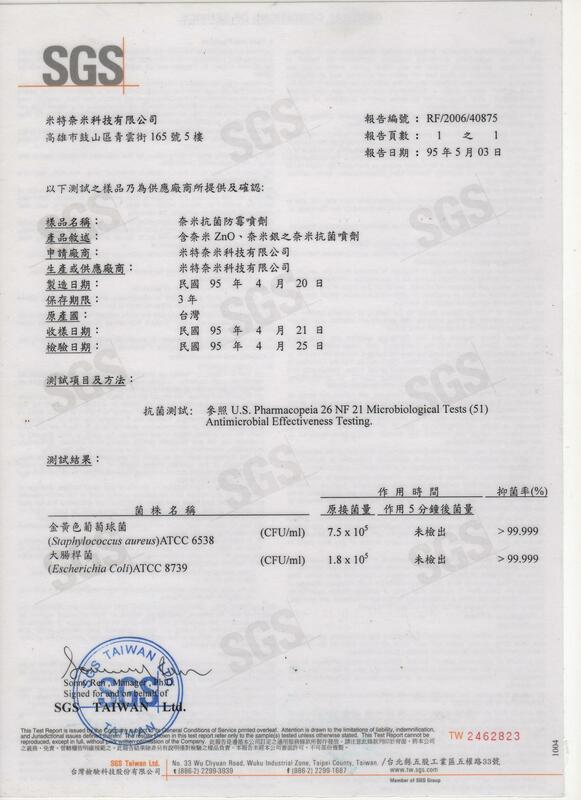 This antiseptic was proved by SGS. 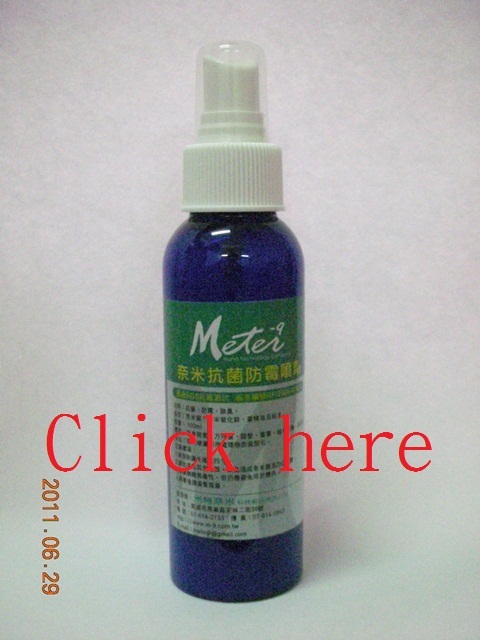 It showes that the antiseptic is very powerful in antibacteria. 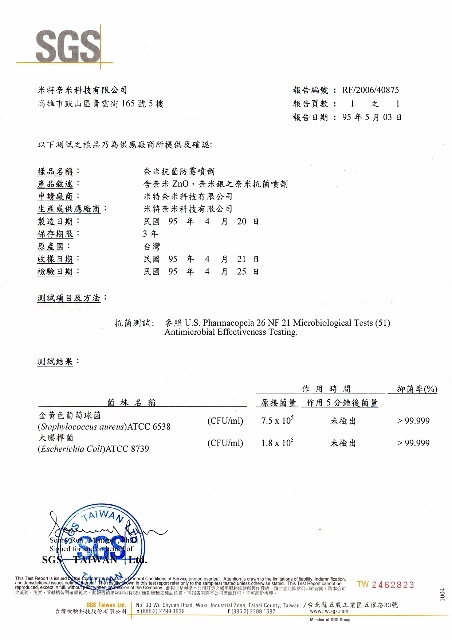 The report number is RF/2006/40875. 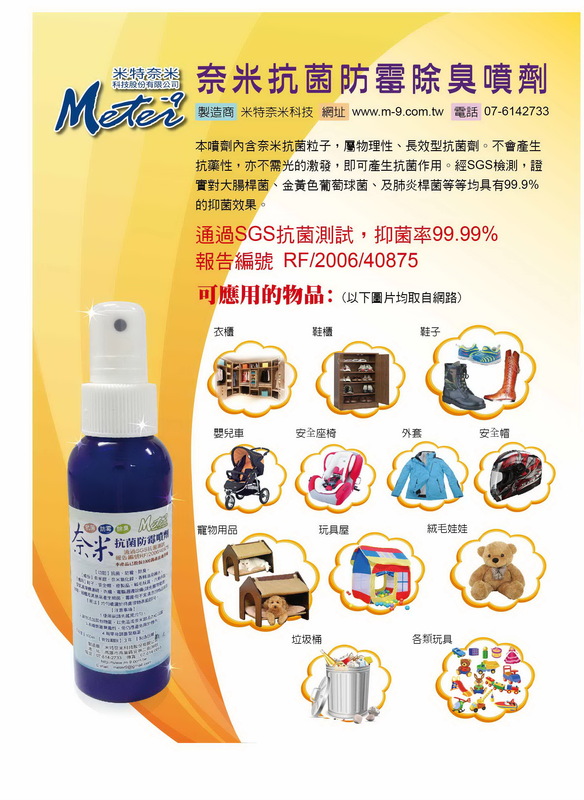 (1) Functions: anti-bacterial, anti-mold, deodorization. 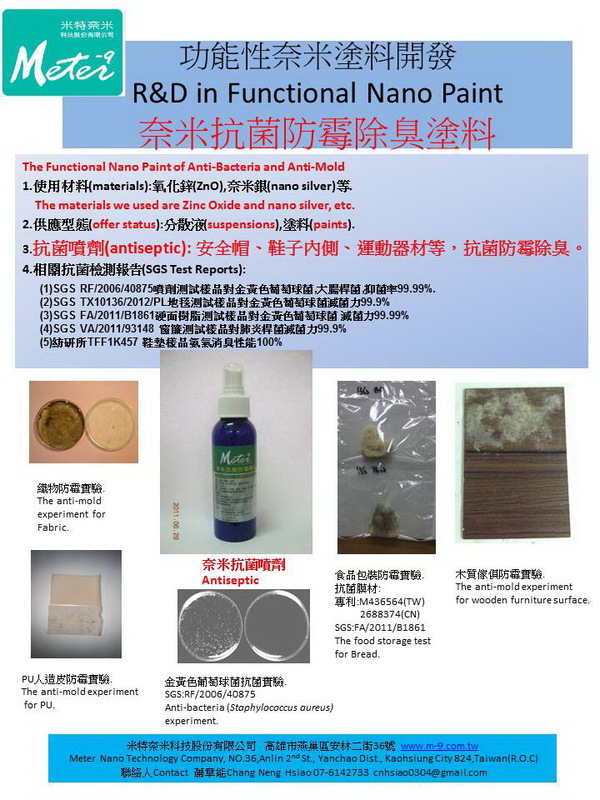 (2) Content: nano silver, nano ZnO, attar and water. We also have water based Wax type which can be applied on leather products.By pray some wax on the leather surface, it not only maintain the leather surface to prevent from crack, but also have the functions of anti-bacteria and anti-mold. surface could form an anti-bacterial film. 1.Shake the bottle before spray. 2.Don't add other matters into the bottle. 3.Don't use it in the human body. 4.Fasten down the bottle cap after using. copyright 2010 c米特奈米科技股份有限公司 All Rights Reserved.